Do I need hand mitts to keep my hands warm to play golf in Melbourne during winter? I found a good one on sale and was wondering if I needed to buy one. Thanks in advance. I would say yes. If you are not Victorian born. Put the mitts over your ears son, will help drown out the constant AFL drivel. put on some weight and grow your hair! One of those I'm not keen on, and the other just isn't possible. It's beanies, about 4 layers, and hand warmer sachets in my mitts for me in the middle of winter. Melbourne weather is all about layers and options. Cause you’re likely to have a couple of different seasons in one game. I have a clicgear mitts which are great but really only use them in the middle of winter. Need a beanie in the bag, together with a long sleeve T on top of a normal T with a skivvy or skins undershirt underneath. Then a light jumper so the layers are doing all the work and you can mix and match as required. All has to be low bulk enough to fit under the waterproofs should you need them. 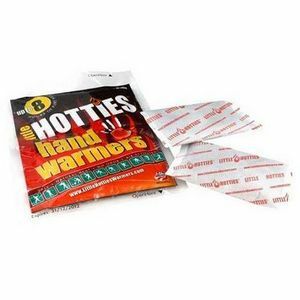 Those 'hot hands' sachets are also useful. You can buy in bulk from ebay. There is permanently a box of these near my golf kit. Not really meant to be ingested maaaate...... could be the root cause of you feeling the cold. Wouldn't eating heat packs actually warm me up? You pack of wimps: mittens, hand warmers, etc. Just go and play golf. Some days are hot, some are cold.